There is so much more to Paris than its famous monuments. 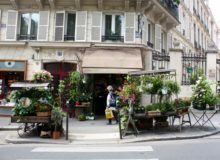 In fact, one of the things we at MyFrenchLife™ love most about the City of Light are the beautiful artisan businesses that line the city’s streets. In our view these small businesses and the passionate people behind them are exactly what give Paris its magic and unique charm: les fleuristes, boulangeries, patîsseries, fromageries, et bien sûr, les chocolateries. Enchanted by their beautiful displays and inspired by their talent and dedication, we’ve brought together the Paris Mosaic series, where we introduce you to the faces behind these Parisian gems. 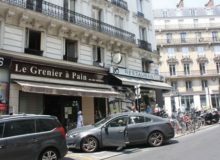 Best known for the Montparnasse neighbourhood, the 14th arrondissement is the Paris of Parisians – you’ll find few tourists here. 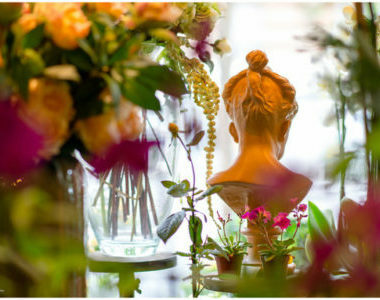 It is in this quartier boasting green parks, authentic French restaurants, and the ghosts of world famous artists and intellectuals that Anne Leroy set up her floristry business Au-delà des Prés. 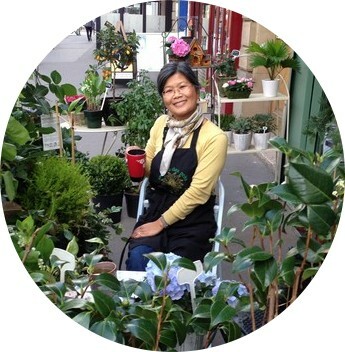 Exchanging an impressive salary at an airline company for the simple pleasures that come from working with flowers, Parisian florist Anne settled on Boulevard du Montparnasse, and has since built up an impressive clientele to become one of the best florists in Paris: Au-delà des Prés. 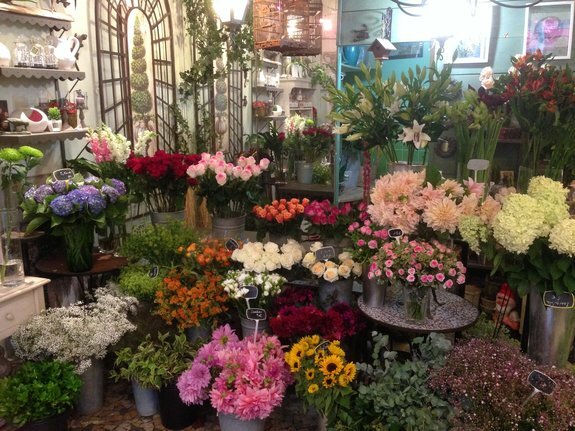 Her flowers, dainty and elegant, are arranged in generous displays around her shop, amid the shabby chic furniture, vintage style bird cages and stone ornaments. Insistent that being a florist is not merely about selling flowers, Anne divulged to us what the job really involves – and we were certainly very impressed by her dedication and enthusiasm! What made you choose this professi on and how has it been made into a reality? Au-delà des Prés is a personal business that has existed for two years, and the story is somewhat special. I worked for an airline for a number of years in a huge office. At one point, I really felt the need to change my path, to give meaning to my life. Ultimately, my salary became a quarter of what I had been making before, but who cares? I’m very happy like this. The fact is that I had needed to re-establish human contact. What’s important to understand is that I don’t sell flowers, I’m a florist. You can say that I’m a little bit like a ‘shrink’ now. I take notes, I listen, I ask questions, and I get the feeling that people who come to see me leave more at ease than when they arrived. 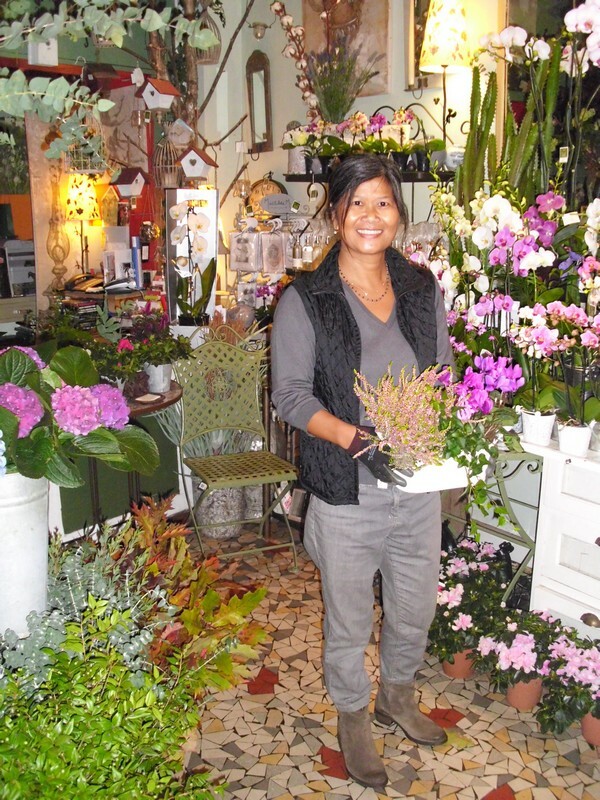 Being a florist in Paris is not like selling shoes – people need to talk. As it were, being a florist involves being somewhat of a counsellor. What’s important to understand is that I don’t sell flowers, I’m a florist. To make it a reality, you simply need to work really hard. There are long days where we prepare flowers from 5.30am, and work for three or four hours. It’s exhausting! (the shop closes somewhere between 7pm and 8pm). When I look at it, I work between 70 to 75 hours per week, but I’m relaxed, and that’s what counts. What is the favourite moment during your workday? I love when I advise people. As I said, I wanted to re-establish human contact, and that’s what I do. In this profession, I can talk to people, and at this time, with the economic crisis, people take more time to decide how to spend their money. 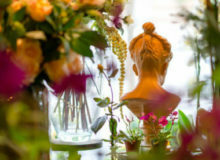 As one of the successful florists in Paris what is the major factor that has contributed to your success? Before anything else, the most important for me is, of course, being close to nature, loving flowers, and being a botanist. But that’s not enough. You also need to be organised, tough, and resilient. It’s a profession that’s physically difficult, really manual – more so than other businesses! It’s incredible; I’ve lost four kilos while eating what I want! It’s extraordinary, but, all the same, I try to keep my life balanced. Do you have an anecdote to share on the social aspect of your work? There are several types of clients. We get people who are ‘très wealthy’ in this neighbourhood. I have a client who spends 600 euros per month at Au-delà des Prés to buy flowers for his apartment. People are very picky in this area. 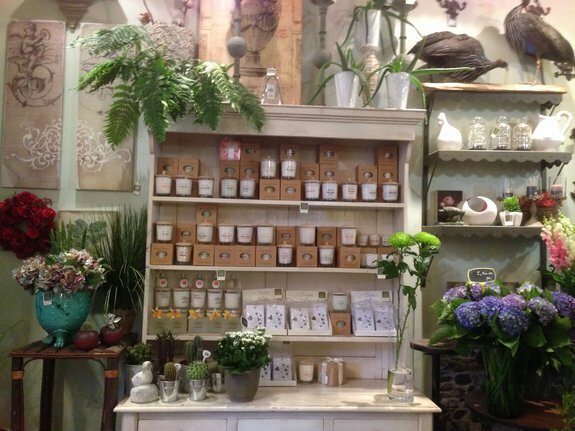 I found that there’s a connection – they’re often very eco-centred, and they want to accentuate themselves while buying very beautiful flowers. Which flower do men prefer for their wives? The rose is a classic. 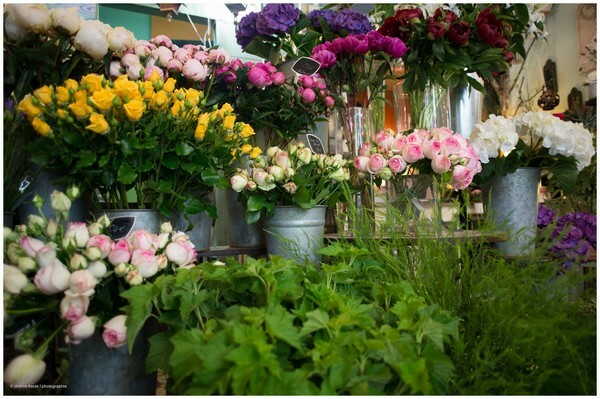 Florists are often asked if the French are romantics, as the stereotype would suggest. After having the opportunity to observe them, I would say that first you need to make the distinction between the French and Parisians. 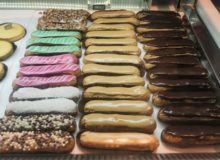 Parisians are not French! In Paris, the clientele is extremely different. But for example, the lilac has a lot less success here – it’s a mourning flower. You can say that the French are very superstitious. Do you have an address in the neighbourhood to share with us? We don’t really have time to go out anymore, but I always like restaurants inside museums. There’s always a beautiful view at these places, and that offers a good break in the city-dweller’s life. For example, I love the Musée de la Vie Romantique. Join us here to discover HOW TO live YOUR dream French life. You'll be inspired to put the daily slog behind you & LIVE YOUR DREAM here with us. We'll help you: Be more savvy about France - Frenchify your life - Enhance your next trip - Finesse your French - Connect with passionate Francophiles & French people. Do you know how to find expert French language tutors or classes near where you live or online? Express your interest here and plan to polish up your french with experts - sign up now. "J'aimerais terminer sur un message d'espoir. Je n'en ai pas. En échange, est-ce que deux messages de désespoir vous iraient ?Have you any idea what this means?"